Where Does Design Intent Lie? In the fall of 2016, I went to Boston to view Steve Oles’ retrospective at the Boston Society of Architects. 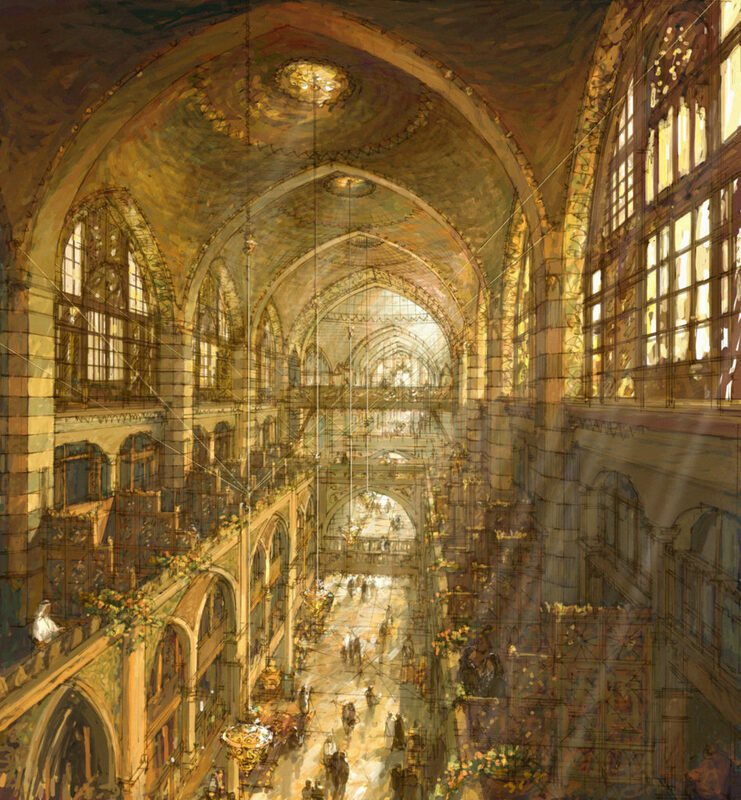 The show, ‘Truth in Architecture,’ was timed to coincide with both Steve’s 80th birthday, and the annual conference of the American Society of Architectural Illustrators. The keynote speaker at the ASAI conference was Moshe Safdie, recipient of the 2015 AIA Gold Medal. Mr. Safdie is a major client of Neoscape, a digital illustration house that graciously hosted the conference. Mr. Safdie tailored his talk well for the audience, discussing the representation of design, both by hand, and utilizing the computer, wherein Neoscape excels. Gallery of the Customs House Hotel, Dubai. This is not to say that the ability to represent a design alone is all that is required to design well. Yet without it, how does one propose and evaluate designs? Design is ultimately the proposal of a specific physical solution to a problem. It may have any number of abstract, intellectual components, but even those cannot be evaluated in the actual design solution without credible, visible representation via a drawing or model. The concern over seduction by one’s own drawing / representation infers that the skilled draftsman routinely runs the risk of creating a monster, one so devious it can lead its creator astray from his or her own intentions. The seduction Mr. Safdie refers to besets the designer who is captivated by their own ability to draw. How does one overcome such an infatuation? 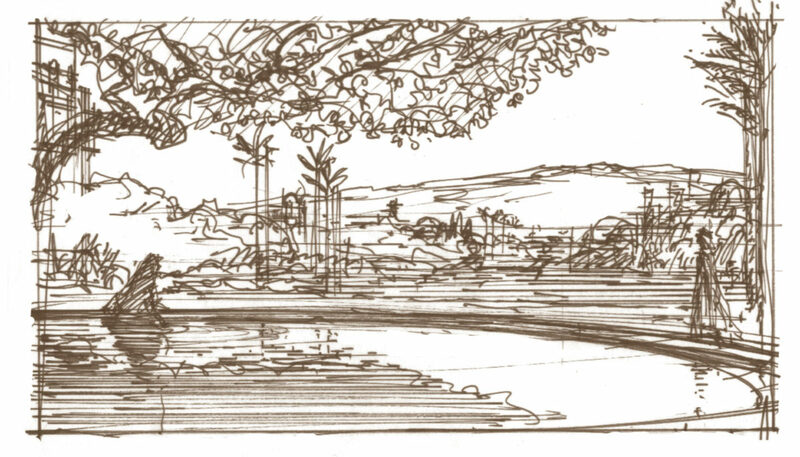 The first and most prevalent choice appears to be simply to not acquire drawing abilities in the first place(!) But we can see how forsaking a tool as valuable as drawing can seriously compromise a designer’s ability to self-communicate, and thus to self-evaluate. The second choice is to develop the skill to such an extent that it becomes a fluent, transparent process one sees through, to the design, rather than looks at for its own sake. This should be any designer’s goal – to command the tools of the process rather than to mistrust, fear, or be manipulated by them. 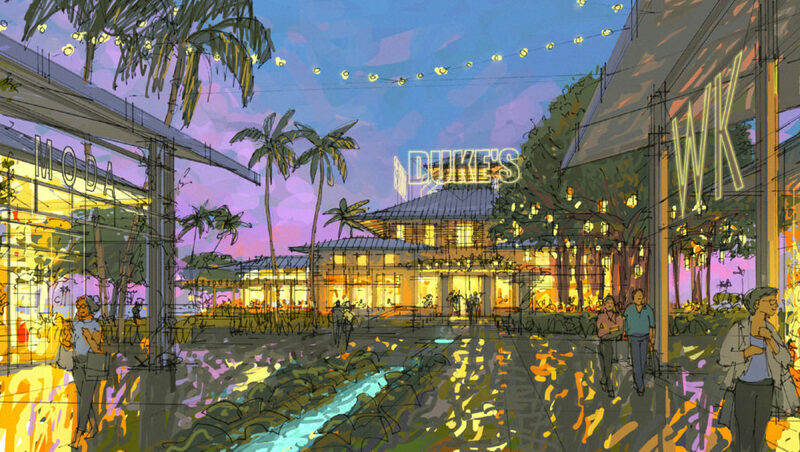 Duke’s restaurant as sunset fades to night. No doubt we have all witnessed the examples of the seduction of computer users by their programs. The challenge there is the same—or even greater—a dense topic for further discussion. The other erroneous implication in the fable of seduction is that it is the drawing that has let us down. Mr. Safdie says that most architectural disappointments have to do with the lack of designers’ critical facilities. Yet we can only be disappointed in relationship to expectations, and those expectations are set by the representation of the design. If the only representation is some designer telling us “It’s gonna be great!” there’s a lot of room for disappointment. But if the intent embodied in a good representation doesn’t make it through to opening day, there are many possible culprits. We must assume, i.e. require, that the designer does not represent impossible conditions. This is not just a matter of physical or spatial distortion, but also of disallowed (i.e. ‘impossible’) things like program omissions, budget overruns, and zoning or building code non-compliance. Thus a valid representation is one that can indeed be accomplished within the parameters of the design problem. After that, it is a matter of execution. 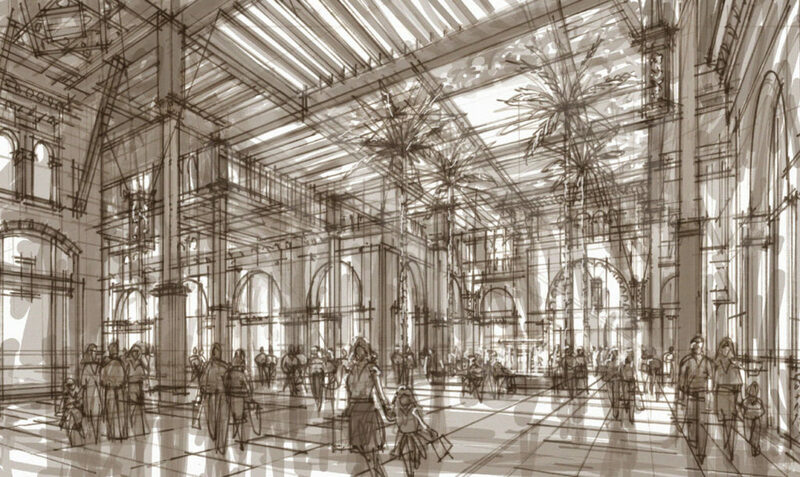 If we want the entry to be grand, or the structure to be lightweight, or the last rays of the sunset to dance across the lobby, and are able to depict what that means, we must then actually make it happen. Shady arrival court (from parking below), Atlas Garden, Marrakech. Too often we fail in the execution. In part, this is because we do not take the design intent drawing seriously enough. A design drawing is not just a pretty picture, some ‘artist’s impression.’ If the drawing gives desirable qualities to buildings ‘they might not possess,’ why wouldn’t we want the buildings to possess them? Where does the fundamental design intent reside? If we are disappointed, it is because of the failure to meet our expectations, a failure to deliver on the aspirations in that drawing. It is not the drawing’s fault. What is the Nature of Design? 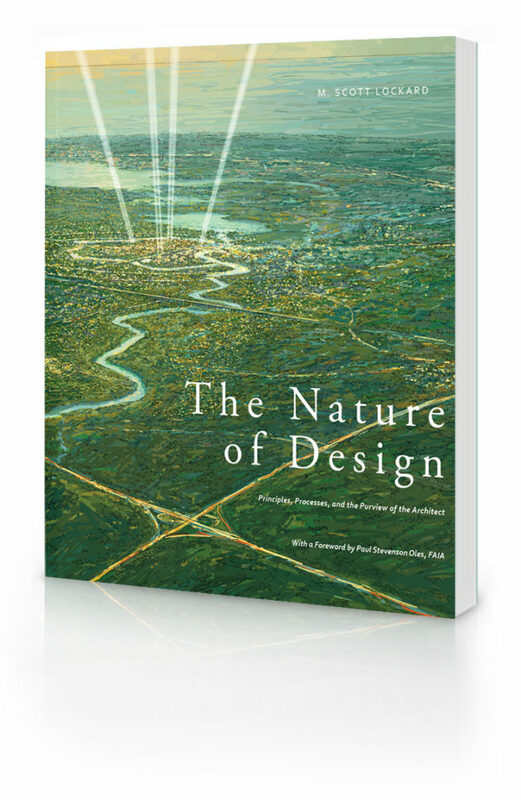 Read about Scott Lockard's new book, The Nature of Design.